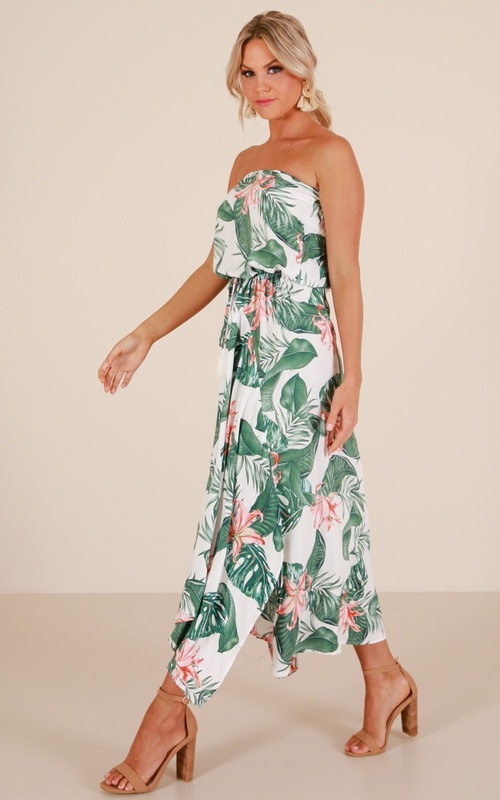 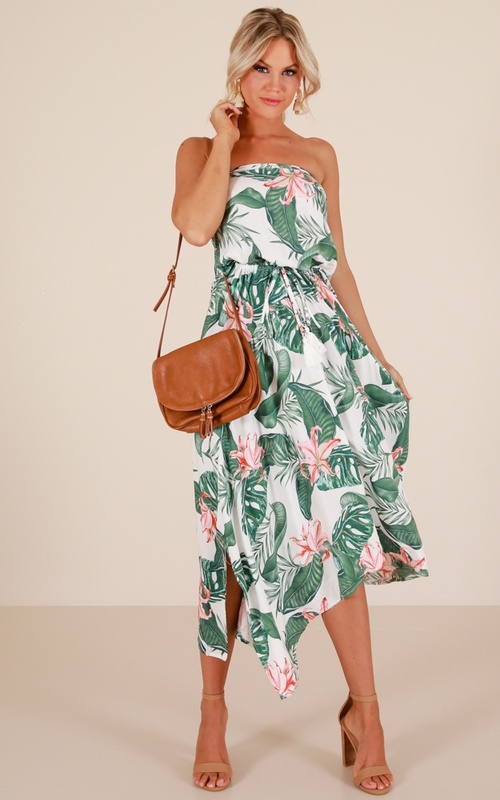 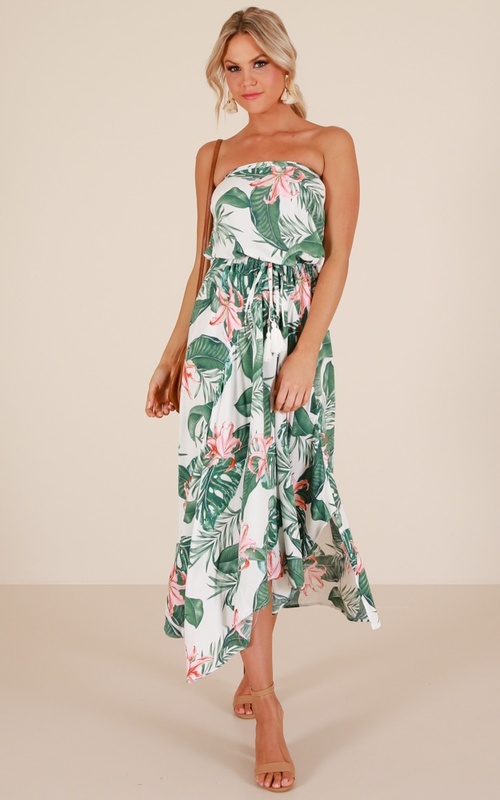 Our "How Long maxi dress" is a strapless maxi dress perfect for this season! 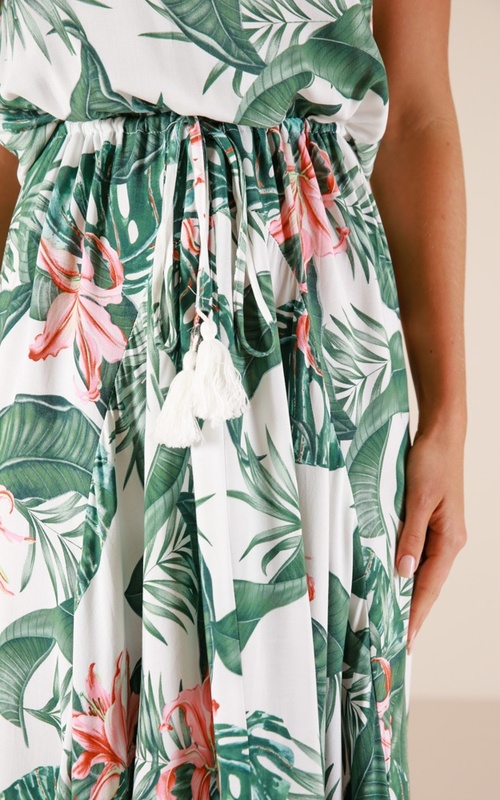 We love the little tassel details on the end of the self tied waist strings. 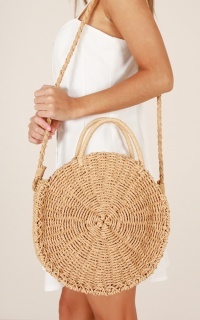 Style with some lace up heels and a wide brimmed hat for a sunny day out by the beach or for brunch!